본 숙소(르 비트랄 바이레스 부티크 호텔)는 부에노스아이레스 관광 혹은 비즈니스 출장에도 훌륭한 선택입니다. 본 숙소는 도심에서 단 0.5 km 거리에 있어 쉽게 이동할 수 있으며, 공항까지는 보통 35분 정도 소요됩니다. 본 숙소는 센트로 문화 리카도 로자스, 신 코스모스, Confiteria del Molino 등과 같은 많은 관광지 및 명소와 가까운 거리에 있습니다. 독보적인 서비스와 시설의 풍부함을 부에노스아이레스에 있는 본 숙소에서 맘껏 누려 보세요. 숙소 편의/부대 시설에는 24시간 룸서비스, Wi-Fi (무료/전 객실), Wi-Fi (공공 장소), 룸서비스, 공항 픽업/샌딩 서비스 등이 있습니다. 본 숙소에서 머무는 동안 고급 객실 시설을 경험할 수 있으며, 일부 객실에 구비된 평면 TV, 무선 인터넷, 무선 인터넷(무료), 월풀욕조, 금연 객실 등은 투숙객의 긴 하루 후 재충전에 도움을 줍니다. 본 숙소에서 마사지, 정원 등과 같은 멋진 여가 시설/활동을 즐길 수 있어 잊을 수 없는 추억을 만들 수 있습니다. 르 비트랄 바이레스 부티크 호텔의 전문적인 서비스와 다양한 특색의 매력적인 조합을 발견해 보세요. The hotel was very close to every thing, the room was quite clean, it was in the basement and had a small window, better amenities that we expected, the breakfast was adequate and generous. we enjoyed our stay be it short 3 days, the tango show was amazing, the hop on hop off bus was not what we expected, the cost was too high comparing with other countries and their earphones were used again and again on quite hot days. the hotel staff were very helpful with all our inquiries, they recommended restaurants which they go to eat and were great and not very expensive. we would go there again if we decide to visit buenos aires in the future. Staff were very helpful, room was nice, big tv etc. Free wifi. No elevators so dragging bags up stairs was a minor negative. Good tour options available, plenty of dining places close by. small hotel with one or two working staff who were very attentive and provided service above and beyond. cosy breakfast area with about 4 tables at most, and early in the morning can be crammed out and rooms were modest at most. Many have commented about over booking at this hotel. To avoid that I called three weeks early to confirm my reservation, and I was even given my room number, no 10. Instead, after four nights of my five night reservation( in room 3), I was moved out for some unknown reason related to my bathroom to another hotel at their cost. They also arranged a taxi. Sounds like a chronic room shortage, and disrespect for an elderly, single traveller, who is not in the least bit fussy. Could I at least get what I paid for? 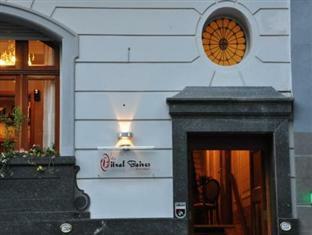 This boutique hotel, as it's name implies, is a small hotel. More aptly called a bed & breakfast. The room that we were given was too small and cramped for three to fit into. With the baggage that we had (we were on a 10day trip) there wasn't much room to move about. On entering the hotel, one has to climb a short flight of stairs to get to the reception. A negative point for the elderly with joint problems. There was only one staff who could converse in English. The non-English speaking, though helpful, did not seem too friendly. The dining staff were helpful and obliging. After paying for the superior room I got placed in the basement as all other rooms were full. The room was ok but I would have preferred to be sleeping in a room upstairs. I could hear people walking around upstairs where the reception was and occasionally staff would come downstairs to get things from the area outside my room. The jacuzzi wasn't that great. 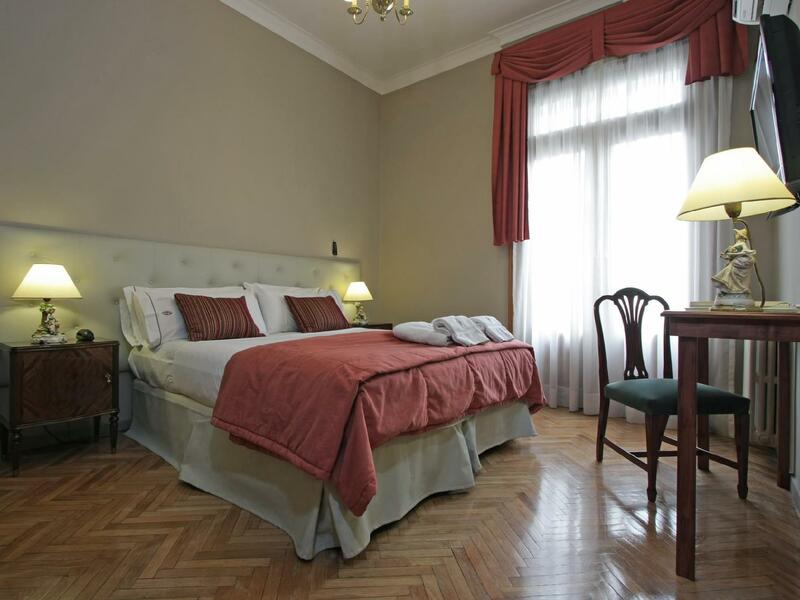 located near callao and corrientes, just around the corner of the congreso nacional, the location is nearly perfect. hotel was nice, staff was very friendly and helpful. my room was in the basement though so i didn't have any real windows. but it was clean. also a fridge would have been nice. the horel is small and friendly we had a large room at the front of hoteñ. hotel styled as a private house. with very nice homley touches. a bit of a walk to the centre about 15 minutes walk. its more of a residential area. i would recommend the hotel. Nach einer Patagonientour mit Rucksack suchten wir ein kleines, bezahlbares, zentral gelegenes, ruhiges und schönes Hotel mit tollem Frühstück und nettem Service. Genau das haben wir in diesem Hotel gefunden. Rüherei und Omelett, frisches Obst und Joghurt sind etwas Besonderes zum Frühstück in Argentinien in einfachen Hotels. Wäschservice 1A, früh abgeben - abends anziehen! Wir hatten ein schönes Zimmer im 2.Stock mit Balkon, Bad mit Shampoo, Regendusche und Wanne mit Düsenfunktion. Selbst duftendes Badesalz war vorhanden! Nach 6 Stunden auf den Füßen ein Genuß, sich in eine sprudelnde Wanne zu legen! Wir würden, wenn Buenos Aires, hierher wiederkommen! Fue breve pero muy buena. Tuvimos una excelente atención de parte de todo el personal. El lugar nos pareció muy bonito, muy vintage. Cómodo sería una palabra que resumiría bien nuestra estancia en el lugar. Hotel bien ubicado, las habitaciones son pequeñas pero agradables. El baño esta muy bien equipado y es muy cómodo. El desayuno es bueno y abundante. La restauración es pintoresca y le da un clima agradable. El personal es atento y dispuesto. Seria conveniente que asesoren y tengan un convenio con alguna de las cocheras de la zona. Proximidade de restaurantes e transporte urbano (metrô). Atendimento, acolhimento, localização , café da manhãme cama. Ficamos quatro dias e tudo foi muito tranquilo. Não tem luxo, mas e limpo e organizado. Excelente custo x beneficio .